Tired of that bathtub that you never use, or just want a shower that you can access easily? BATH FITTER can alter an existing bathtub into an extra-large shower enclosure that you’re sure to love! Our shower conversions include a new custom-made, one-piece shower surround, which prevents leaks and ensures a smooth, modern look. You will get the same quality materials and tailored craftsmanship that BATH FITTER provides for bath and shower remodeling services with the ease of a large shower that will last a lifetime. The ideal choice if you want a bigger shower without performing major bathroom renovation projects. With these shower remodeling services, we simply remove your bathtub and replace the tub surround with an attractive, durable extra-large shower. 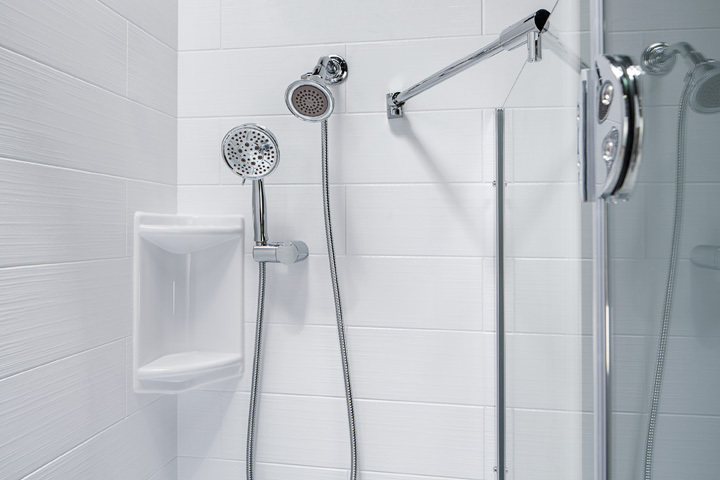 Many people find that our tub-to-shower conversions provide easy access for bathing.